Join Cinderella as she reclaims her birth name Charlotte and travels the Four Directions to save a Kingdom. Fairy tales are like life, filled with insurmountable obstacles and heart breaking tragedies. How did the Prince find Cinderella hidden in the vanishing spell set by her wicked stepmother? And then what happened? How did Cinderella transform from a girl into a Princess? The Prince shared with Cinderella what he had learned with his teachers the Fairy Godmothers. He explained, "There are many Fairy Godmothers. 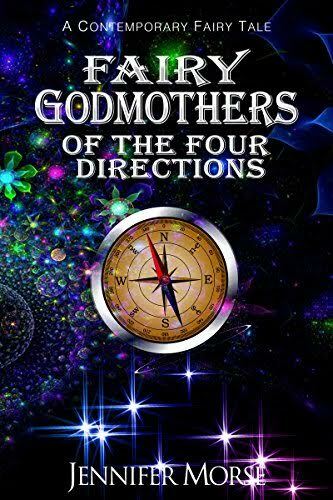 I studied with a different Fairy Godmother for each cardinal direction." He said, "Each direction is a paradigm for inward knowledge an worldly knowledge. Together the Four Directions form the beginning of the wisdom required to govern a Kingdom." Taking Cinderella's hand between his warm and steady hands, he said, "The dangers inherent in running a Kingdom are immense. If you'll agree, I'd like you to study with my teachers."